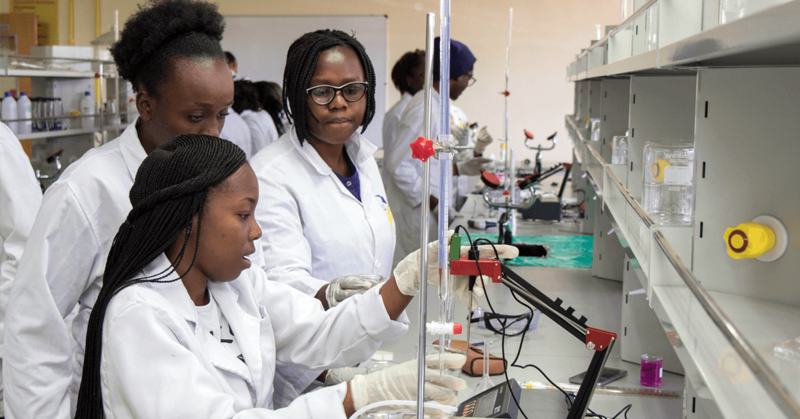 Students studying Human Physiology IV with Senior Laboratory Technologist Mr. Hezron Muindi (center) during a laboratory class session in the Science Center. 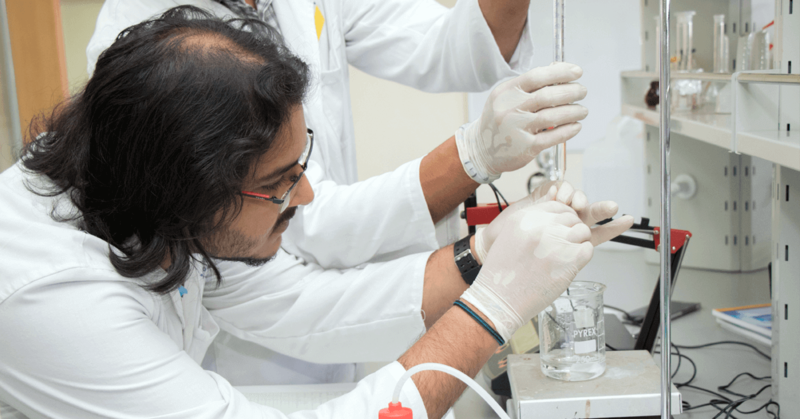 A USIU student looks for the end-point of a titration during a practical lesson in the Chemistry laboratory. 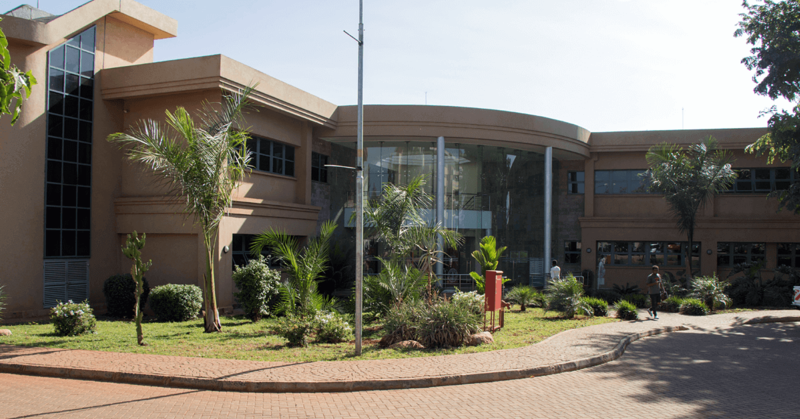 The United States International University-Africa (USIU-A) was founded in 1969 as an African satellite campus of what is now known as Alliant University in San Diego, California. Its original mission was to offer training in areas not adequately covered by Kenyan public universities, such as business, diplomacy, and psychology. Its offerings have since increased to 25 unique programs, all of them fully accredited in both Kenya and the US. 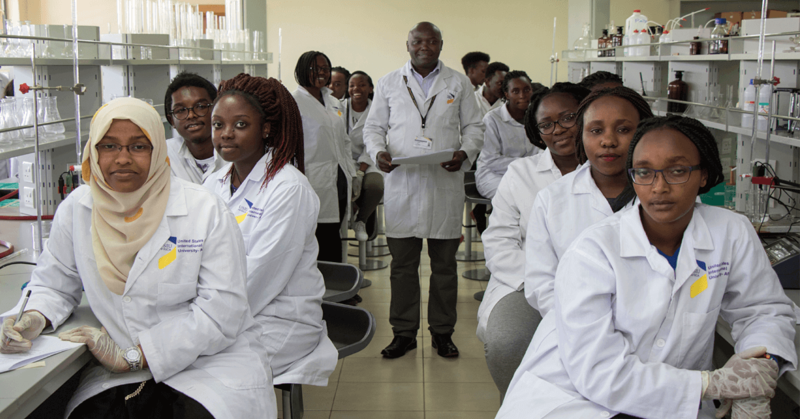 The School of Pharmacy and Health Sciences was established in 2014 to address an acute shortage of skilled pharmacists in Kenya and the surrounding region. A new BSc program in Epidemiology and Biostatistics will soon be added, and several other new programs are under development. Research topics at USIU-A include formulation of natural product extracts and dietary supplements. Rheumatic and musculoskeletal diseases like arthritis are among the top causes of disability worldwide, particularly among women and older people. Rates of arthritis in developing countries are similar to the rates everywhere else, adjusting for age, which means that the condition will impact ever more people as lifespans increase. Living with arthritis, especially with limited access to treatment, can interfere with a person’s ability to work, to care for his or her family, and to participate meaningfully in community life. Apollo Maima, PhD, Assistant Professor of Pharmacy at USIU-Africa, and collaborators at the Kenya Medical Research Institute are looking for affordable and locally-available solutions that can provide arthritis relief. They believe they have a promising candidate in Euphorbia prostrata, a plant of Caribbean origin that grows in Kenya and many other parts of the world as a roadside weed. The team has confirmed that E. prostrata extracts may be effective as painkillers. They are currently working to understand which chemicals are responsible. The ultimate goal is to develop a tea containing E. prostrata extracts that arthritic patients can brew to relieve pain. Kenya is the world's third largest tea exporter, and tea-drinking is already a part of daily life for Kenyans of all ages. 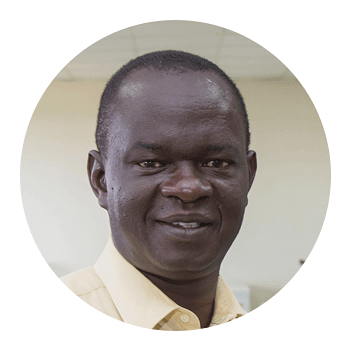 Dr. Maima believes that a pharmaceutics laboratory equipped through Instrumental Access will be useful in formulating the painkiller tea, as well as in future research projects. His long-term project is screening medicinal plants of East Africa for antimicrobial and anti-parasitic properties. "This is a critical area of research, especially noting the high level of resistance in microbial and parasitic pharmacology and the few number of compounds currently in clinical trials," says Dr. Maima. The pharmacy program at USIU-A is very new, with the inaugural class currently in year 3 of a 5-year program. As these students move into the clinical phase of their studies, equipment is needed to furnish a pharmaceutics lab where they can gain hands-on experience with dosage forms design, preparation, and evaluation. USIU-A scientists also hope to use the lab for research and innovation.